Do you love kids? I love kids and I believe everyone in this world love kids. You know why we love kids, not only because they are cute and bring smile on my lips but also because they teach us the best lesson of life. You may have heard this many times from people around you that kids are special and every special thing, person or creature attract everyone. Do you believe that You are Special? 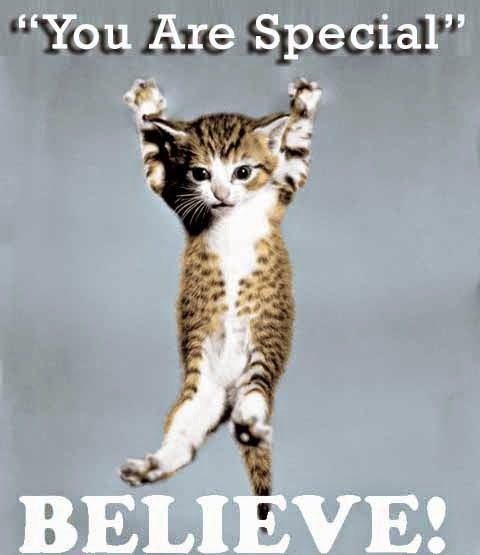 If I say "You Are Special", it may sound to you like a cat poster. But once you start believing it, it will change everything around you. When you become special you attract everyone around you, and for a blogger attracting readers and followers is the biggest goal of success. Today I will share about why and How you should believe that you are special. Let me share you my own story. like everyone else in this world, I had hardest time of my life. I was out of money, no job, no love and so much pressure of debt and families expectations. I was feeling neglected and thinking that I am nothing just a useless person. Negativity on it`s height. I was running a blog very first time in my life and not even making a single dollar. I was not feeling anything special, when one day I met a college student who used to play video games with me. He was very happy, I asked him if there is any special occasion. He said something which took me few hours to understand. He said "Every minute is special, because every minute he learn new things on how to beat opponent in game and this make him feel special. Because of this many students come to play game with him, challenge him and he always make good money on be on his game." I was not in good mood so moved back to my home. While walking I was thinking about his words. the smae time I have seen this cat poster on a shop, which says "You Are Special" and then I don`t even know what happened that suddenly I started feeling that I am also special. This bring a positive attitude in me. I started learning and fixed issues of my blog and understood do`s and dont`s of blogging. Since that day I never looked back. My blog started growing and increasing number of followers. I started getting product review opportunities and also my affiliate sale got increased. No I am a full time blogger, my family is happy and am satisfied with my work. I am still improving everyday and I have that cat-poster on wall of my bedroom and work-room, to remind me always that I am special. Now I ask you to look at this poster and take a deep breath saying that You are special. Start remembering everything which make you feel special. As I was the best student in my school and college and everyone liked me. I was best in studies and innovative ideas. The best thing is that you need not to do any hard-work to become special. all you need is to believe that you are special. Remind yourself everything what you do different and why people like you. You will find out many things which make you feel special. When you feel special, you attract everyone around you. A positive energy flows around you and everyone also believe that you are special. Being special bring you a un-shatterable confidence. Your confidence shows through your words and transfers to your readers. This will make they stick to tour blog and you will gain many followers. This will help you get regular traffic and ultimately you will have good conversions. Every famous Blogger and entrepreneur always say that success is all about positive attitude and positive attitude come from feeling special. Do share what is your way to motivate yourself? 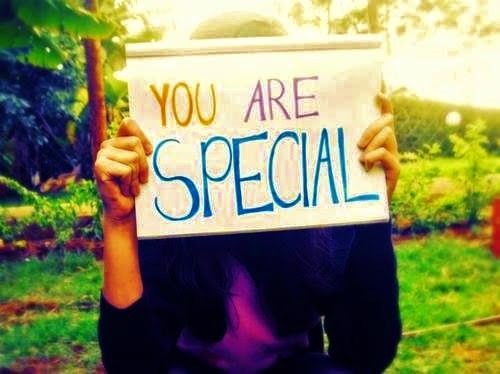 How you feel that you are special? If you find this article helpful, don`t forget to like us on fb and subscribe our newsletter.